God will complete what He started in you. The thing is that you decide how long it takes to for some things to be worked out. God has begun a good work in you, but if you don’t step out in faith and obey what He has asked of you, the work will not be done…quickly. If you choose to hold on to bitterness rather than forgive, you lengthen your journey. If you allow fear to stop you from stepping up and doing what God has called you to do, He won’t leave you. He will walk with you. He will continue to heal you, develop His grace in you. He will continue to bring around the nudge and put the choice(s) in your hand. What you choose to do with it, is up to you. Are there things that God has asked you to do? Is your lack of obedience causing a holding pattern for His purpose in you? Many times, God has already given us what we need to grow. He is waiting for us to take the step. The Word says that God will work in you but He will not walk for you. That is up to you. Even if it is a small thing, obey. Especially if it is a small thing, obey. 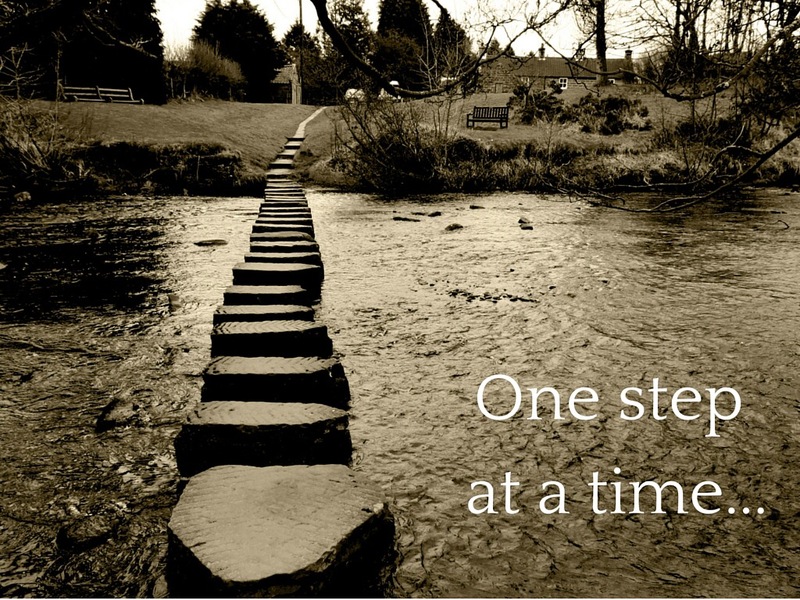 Just take one more step and trust God for each step after.